THE HAGUE, Netherlands -- A Western diplomat says Syria's representative to the Organization for the Prohibition of Chemical Weapons says insurgents have twice launched unsuccessful attacks on Syrian depots where chemicals used in poison gas and nerve agents are being stored. The diplomat said Thursday that Syria's ambassador to the OPCW reported the alleged attempted attacks Wednesday at a closed meeting of the group's executive council. The diplomat, who was at the meeting, spoke on condition of anonymity because it was closed to the media. 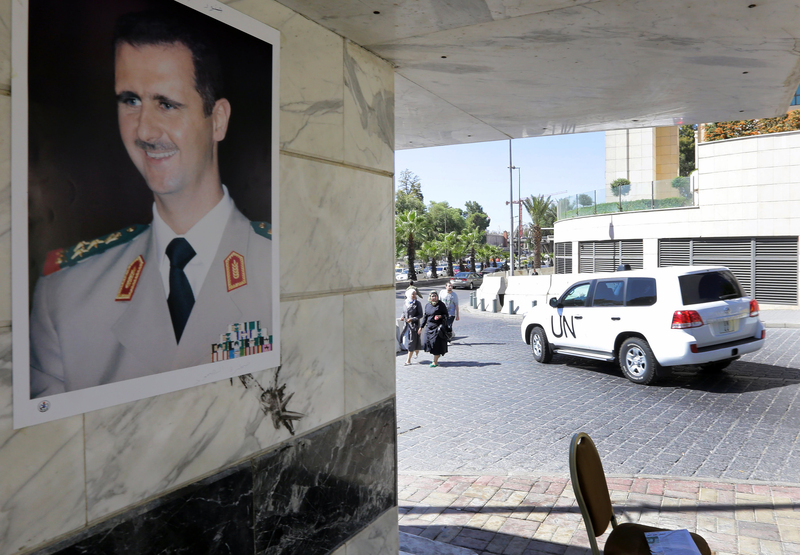 The Syrian representative who spoke was not available to comment and the OPCW itself declined comment because the remarks were made at a private meeting. The New York Times first reported the Syrian comments. According to the diplomat who spoke to The Associated Press, Syria claims that the insurgent attacks on storage sites near the city of Homs and in a Damascus suburb were repelled. It was not clear when the alleged attacks happened and the report could not be independently verified. The reported attacks underscore the risks involved in international efforts to dismantle Syria's chemical weapons program. The first batch of toxic chemicals was shipped out of Syria this week, a week later than expected due to the poor security and bad weather in the war-torn country. Also Thursday, Germany said it would help destroy Syria's stockpile of chemicals used as the raw materials for poison gas and nerve agents. The government said German experts at a site in Munster will get rid of the byproducts created when the chemicals are destroyed - which is currently slated to be done aboard a U.S. ship at sea. The first batch of Syria's toxic chemicals was loaded onto a Danish cargo ship in the Syrian port of Latakia and shipped Tuesday toward international waters.